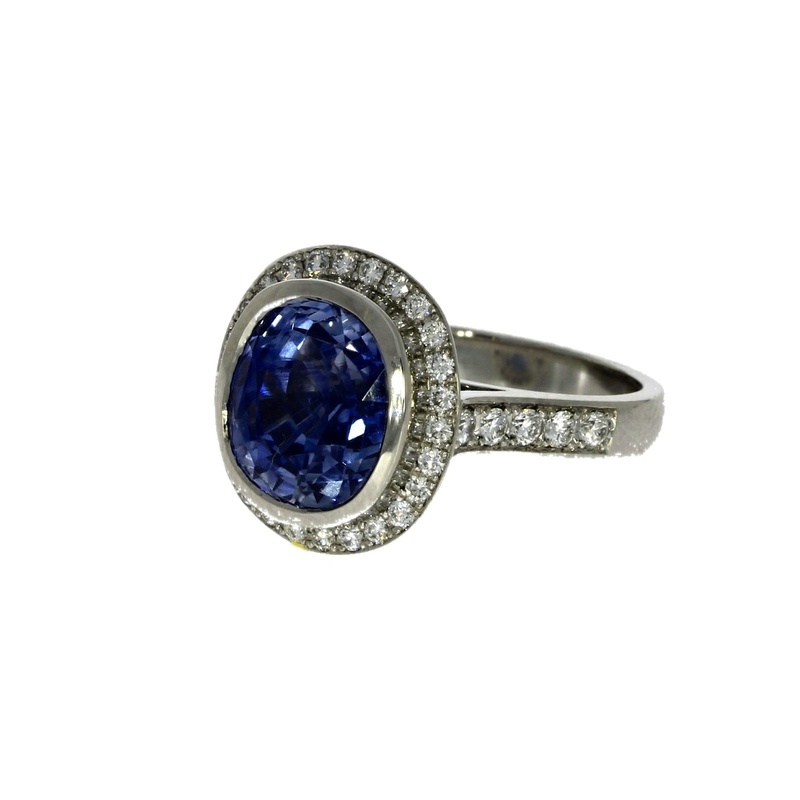 Calling all sapphire lovers! Our Star for March 2018 has an incredible natural, unheated central sapphire with a breathtaking depth of vibrant colour, framed by a diamond surround and diamond shoulders. 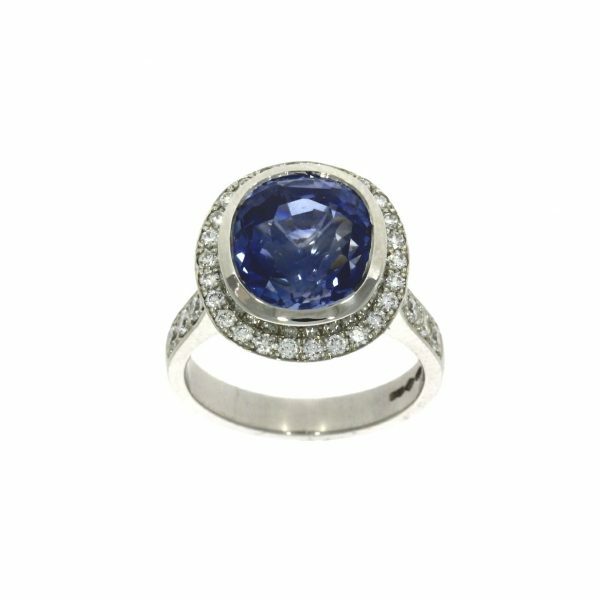 A platinum dress ring with a central natural, unheated cushion cut blue certified sapphire that weighs 7.42 ct and brilliant cut diamonds weighing 0.80ct in total and assessed as clarity VS, colour G/H surround, shoulders and back.